Created by donations from family, friends and colleagues, the Judy Byck Scholarship Fund honors the memory of a remarkably gifted clinical social worker, and expresses her intention that clinical social workers new to our organization be given the opportunity to study psychoanalytic concepts and approaches to psychotherapy. Judy Byck Scholarships will be given to MSW graduate social workers who have never before taken a course at the Psychoanalytic Center of the Carolinas (formerly, the Psychoanalytic Psychotherapy Study Center of the North Carolina Psychoanalytic Society). Once approved, Byck Scholars will have the opportunity to attend one course (8 or 16 weeks) with the full cost of tuition waived during the 2018-2019 academic year. All application materials and information will be kept confidential. Mental health professionals, holding the MSW degree should complete a Byck Scholarship Application by the deadline stated above. Once approved for a scholarship, Byck Scholars are eligible to enroll in the introductory course, Thinking Psychoanalytically: The Basics (Course 101) which is typically taught each Fall on Monday evenings in Durham, NC. If qualified, Byck Scholars may apply to enroll instead in an electives course (900 level) or one of the Core Curriculum courses (200 level). Click on blue links to the right to learn about current course offerings. Permission to attend an electives course or one of the Core Curriculum courses will be given at the discretion of the instructor, based on the applicant’s ability to demonstrate a basic understanding of psychoanalytic theory and its application to the treatment of patients through previous coursework, training, or supervision. Further, the applicant must be actively engaged in clinical work with patients. Once granted a scholarship, Byck Scholars will only be responsible for a $25 application fee at the time of course registration. Applicants must live in North or South Carolina and be able to attend class in person. Participation by video is available for some courses, although not for Thinking Psychoanalytically: The Basics. Interest in the application of psychodynamic principles to any area of clinical care. Commitment to developing oneself as a psychotherapist by deepening one's knowledge and understanding of one's own inner processes and by learning to apply that understanding in the therapeutic relationship. Curiosity and intellectual capacity to undertake further psychoanalytic study. The Judy Byck Scholarship selection committee will consist of at least three members, including two social workers. The selection committee may use application materials and any additional information it deems necessary, such as essays or interviews, in order to reach its decision. The decision of the selection committee will be final. The Psychoanalytic Center of the Carolinas does not and shall not discriminate on the basis of race, color, religion (creed), gender, gender expression, age, national origin (ancestry), disability, marital status, sexual orientation, or military status, in any of its activities or operations. An inspiring psychotherapist, teacher and supervisor, Judy was respected and loved by her many friends, colleagues and students. 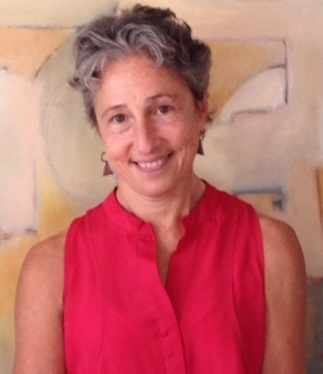 A 1990 graduate of the Smith College School for Social Work, Judy worked at the John Umstead Hospital and was Clinical Director at the Durham Family Counseling Service before entering private practice in Durham. Among her many contributions, Judy served as an energetic founding board member of the Psychoanalytic Center of the Carolinas. In 2017, she was named Clinical Social Worker of the Year by the North Carolina Society for Clinical Social Work. The Judy Byck Memorial Scholarship Fund has been established to honor Judy’s life and passionate commitment to psychoanalytic education and treatment.